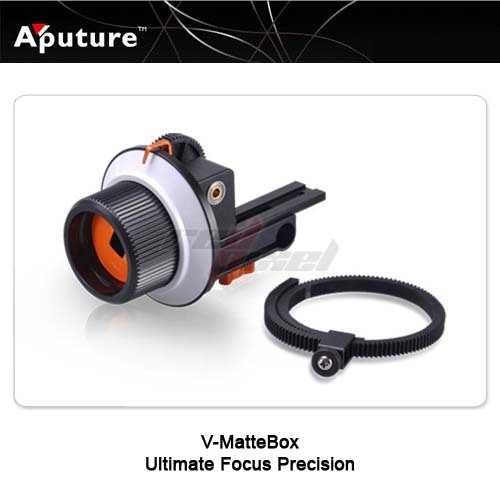 Aputure V-Wheel is designed for DSLRs and camcorders to focus. V-Wheel features in outstanding dampening design, flexible mounting and operatation, with industry standard, various lenses mountable. Using V-Wheel to achieve ultimate focus precision. * Completely gear driven design for slip-free and accurate movement. * Adjustable height of the gear driven. 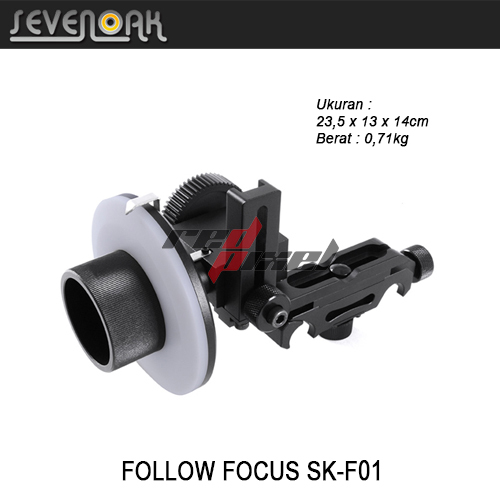 The Sevenoak SK-F01 is a professional follow focus built out of anodized aluminum construction. Designed to attach to 15mm rod support system, it features a quick release clamp, 3D marking disc, and light weight design, adjustable height of gear driven. The entire setup can be mounted either to the left or right of a lens depending on your needs/preference. The gear box has forward/reverse switching so you can have the wheel spin whichever direction you prefer for pulling focus. The 15mm bracket is quick release and can be snapped to your support rods without removing any other components. This makes it very easy to add or remove the follow focus without breaking down your kit. With an adjustable height of the gear driven, SK-F01 can be used with a wide range of lenses. # Completely gear driven design for slip-free, accurate and repeatable focus movement. 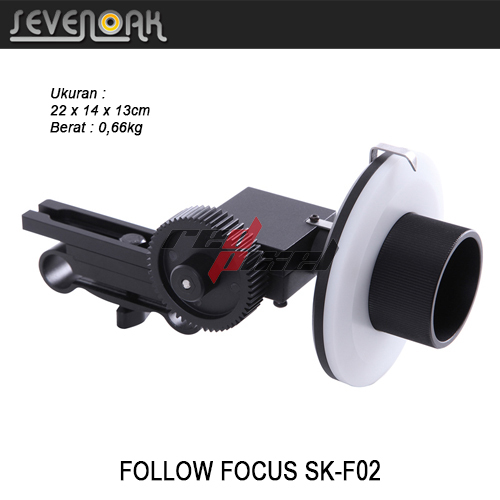 The Sevenoak follow focus SK-F02 is completely gear-driven design for slip-free, accurate, and repeatable focus movement. It is compatible with most DSLR cameras or video cameras. It features three sizes of gear rings and each gear ring has an adjustable tension so you can tame those loose focus rings for different lenses. The entire setup can be mounted either to the left or right of a lens depending on your needs/preference. The gear box is reversible, so you can have the wheel spin whichever direction you prefer for pulling focus. And the adjustable slide-mounting system can be mounted onto any standard 15mm Rod Support. 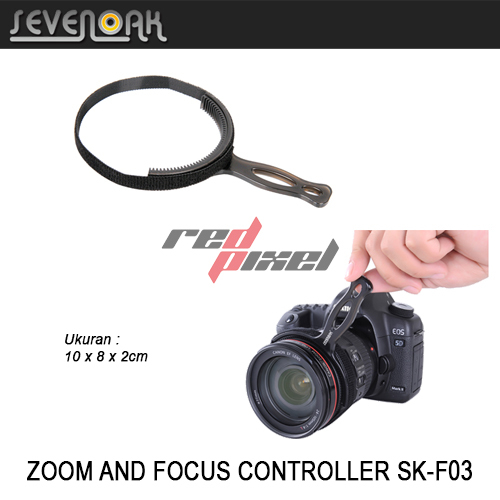 Sevenoak SK-F03 is a simple but useful focus and zoom controller designed for most DSLR cameras. Designed with adjustable diameter, SK-F03 is compatible with almost any DSLR lenses and fits for most DSLR cameras. 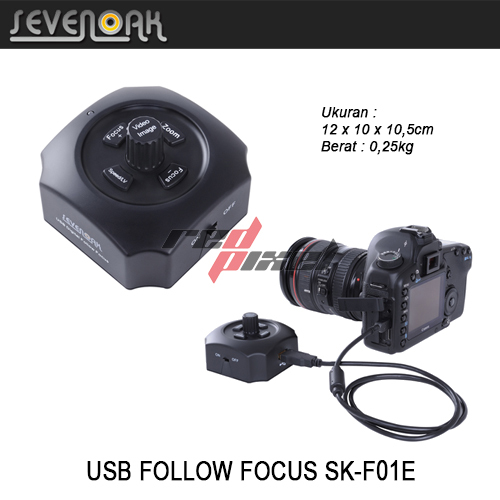 SK-F03 can be used for controlling both the focus and zoom, it is very simple and easy to operate, and make your whole video kit much lighter. With the compact and lightweight design, you can carry it anytime and anywhere. It is connected to your camera with a standard A to mini-B USB cable. This USB follow focus enables you to control focus simply by rotating the knob in the middle or press the buttons on the USB follow focus, please refer to the user manual for detailed information. 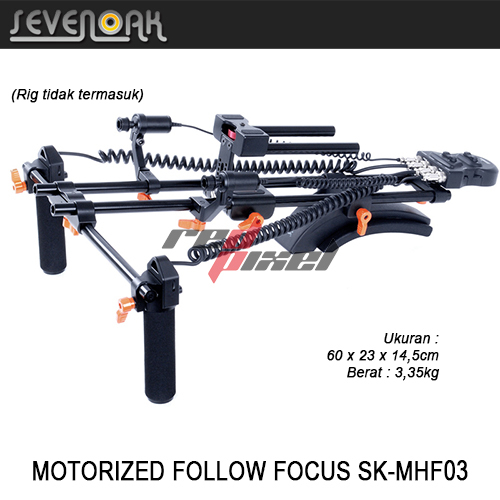 Sevenoak SK-MHF03 is a motorized follow focus that allows filmmakers to pull focus and steady the camera on the move, and makes it easier to achieve high-quality production value on a shoestring budget. With movable and height-adjustable base plate, SK-MHF03 allows you to switch from different cameras without breaking down the whole system. Built with two sets of operation system, SK-MHF03 makes it easy to control the zoom and focus whether it is mounted on a tripod or on your shoulder. And its two motors on both sides of the rails are movable and interchangeable.